Museum prepares for summer holiday! It’s the 1st of July – and that means that the summer holidays are just round the corner. We’re beginning to prepare a programme of brilliant FREE activities for families. 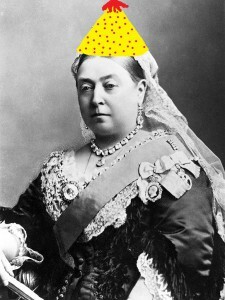 In September, our current Queen Elizabeth II is set to take over from Queen Victoria (1837-1901) as Britain’s longest reigning monarch. In celebration of the 23,226 days, 16 hours and 23 minutes of Queen Victoria’s reign, we’ll be taking a look more closely at those 63 years. Visitors will explore the greatest inventions, developments, and events of the Victorian Era, through art, craft and play. Activities will run every Wednesday and Thursday from the 29th July to the 27th August – and will change every week! This means you can visit us again and AGAIN over the long summer period – and at no cost! We’ll keep you updated on the activities we have planned – keep an eye on our Facebook and Twitter accounts for behind the scenes stuff! Comments Off on Museum prepares for summer holiday!